Maria Zanfrisco-Anzaldo has 29 years of experience in real estate, including the last 16 as the owner of the Jennersville office. RE/MAX Excellence is opening a second office in Kennett Square in April. Maria Zanfrisco-Anzaldo, the owner of the RE/MAX real estate office in West Grove for the last 16 years, is expanding the business by opening a second location in Kennett Square. With the expansion comes a name change as well. What was formerly RE/MAX at Jennersville is now RE/MAX Excellence. “We decided that the name change is for future growth,” Zanfrisco-Anzaldo explained during an interview last week. She noted that opening an office in Kennett Square is ideal because there are no RE/MAX offices between West Grove and West Chester. The Kennett Square office will be located on Onix Drive in the Shoppes at Schoolhouse Crossing. It is scheduled to open in April. “Now that we'll have two locations, it will be convenient for our clients and the agents,” Zanfrisco-Anzaldo said. The new office will feature a virtual, cafe-style design and will be paperless, reflecting the company's commitment to remain at the forefront of the real estate industry. Clients will be able to browse the real-estate Multiple Service Listings, get qualified for a mortgage, and complete other tasks in a leisurely fashion in this modern client-service center. The paperless office will, of course, be environmentally friendly. Zanfrisco-Anzaldo said that the new office will be focused on serving the Kennett Square, Unionville, Chadds Ford, Glen Mills, West Chester, Mendenhall, Greenville, Hockessin, and Wilmington communities. Plans for the second office came together after two real estate agents with experience at RE/MAX, Mike and Tammy Duering, expressed interest in an expanded role with the company. 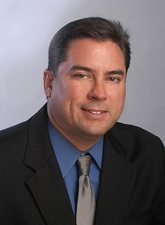 Mike Duering will serve as a managing partner for these RE/MAX offices. He will be working with agents to help them with new agent training and advanced agent training. Motivational sessions are another area of expertise for Duering, and he will instruct the agents on how to effectively use social media and all the other outstanding tools RE/MAX has to offer. Even before opening, there are four agents who have already signed up to work at the Kennett Square office. Zanfrisco-Anzaldo said that the plan is to have ten agents in place within a year. “Our goal is to have 20 to 30 agents in each office,” she explained. The goal is to provide a full range of real estate services. RE/MAX offers in-house mortgage lending and title services, which is very convenient for buyers and sellers. Changes in technology have certainly impacted the real estate industry—50 percent of the Internet users now search on mobile devices—so staying informed and up to date with the changes is a priority for Zanfrisco-Anzaldo. She said that the application process has been streamlined for prospective home buyers, but in some other areas―such as buying a foreclosed property or buying on a short-sale, the process can still be fairly complex. RE/MAX agents are trained to help guide their clients through the process.